Uuuuurrrrggggg...I had been doing SO well trying to avoid the nasty cold/flu/sinus bug that has been travelling around Melbourne like crazy. All my clients and colleagues had seemed to succumb to this beast while I sat on the sidelines guzzling zinc, vitamin D, and vitamin C like I was freaking Pac-man munching down on those dots. Alas, I finally became a victim of this virus. One of the biggest positives about this virus (minus the downtime to actually rest and MAYBE get some writing done) is that I've managed to avoid getting stuck with a massive migraine! If you've never had a migraine, count yourself lucky. Usually, when I'm sick, I get hit with one. It's just the way the cookie crumbles. Before getting sick, I was able to go on one little adventure that turned into a rather exciting day! 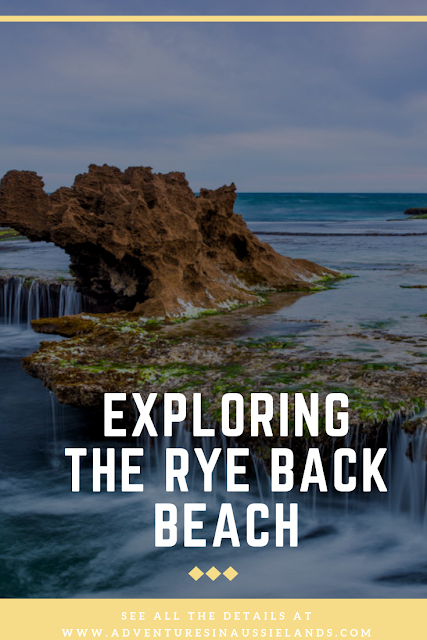 Initially, I merely wanted to go to Rye Back Beach to try and find the Dragon's Head. Now, this is not a well-known site in Melbourne so I knew it wouldn't be the easiest of ventures. We did find the Dragon eventually! The only problem....the tide was up too high to get a good shot of it. Oh well...What we ended up stumbling upon entirely made up for it! We were even able to get a view of the Dragon's Head from up on top of the cliffside! I've managed to capture a relatively decent picture of the Dragon's Head from another trip to this beach. Be sure to check out my Instagram to see the difference! Fear not! Whilst on our dragon hunt, we got the brilliant idea to go to the koala sanctuary on Phillip Island to hold and cuddle some Koalas. I realise that Phillip Island is NOT that close to Rye. Can I take one home, please? We had to be at the koala encounter at 2:30, so to take up some time, we saw the rest of the animals and then went to feed the wallabies and kangaroos. Keep in mind, the sanctuary is quite small. If you're taking the kiddos there or if you're going with your friends, try to make your animal encounters around the same time. Spreading them hours apart will leave you questioning why you did so. We finally got to "cuddle" the koala. 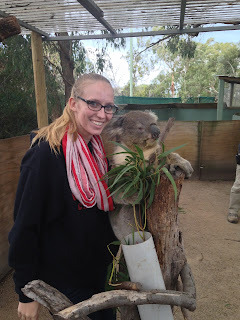 My bucket list was halfway crossed off since I did not get to hold the koala. But they're so freaking cute and soft to pet, I'll forgive the state of Victoria for its unnecessarily dumb restrictive law. 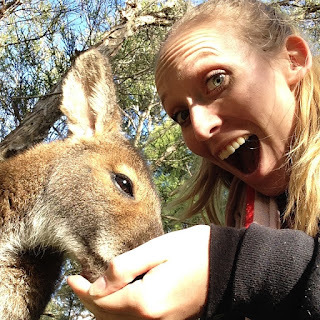 We finished off the day by going back to the wallaby's and kangaroo's to get rid of the rest of our feed. The great thing about the Moonlit Sanctuary is that it's tucked away down the Mornington Peninsula. Unlike the Melbourne Zoo or Healesville, it's normally super quite. This gives you optimal animal interactions. I must say it turned out to be quite a fun, relaxing, lovely day! Lying in bed, writing about these adventures, trying to recover from the mutant bug only makes me want to get out and explore some more! Awesome! Thank you! And what awesome animal story also. What is the law on koalas? We are oblivious to that in the US. Glad you beat the devil migraine! In the state of Victoria, you are not legally allowed to hold the koalas. You can pet them though. Other states such as South Australia and Queensland do allow you to hold them! Get better soon so you can go on more awesome adventures!! !